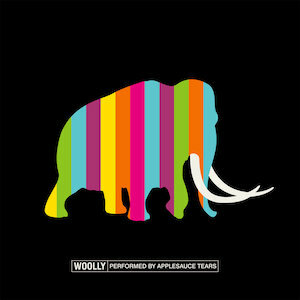 Applesauce Tears return with Woolly, the follow up to their NACC-charting album Pastoral. Woolly continues the band’s exploration into unsure melodies and unresolved atmospheres. While at times playful, there is the occasional sudden dark turn. As always, it's an instrumental trip! Formed in Athens, Georgia, this collection of talented/ unemployable friends and acquaintances began playing instrumental music together under the name Applesauce Tears. A move to Atlanta, Georgia brought a certain amount of clarity as the group took shape and began producing their brand of instrumental psychedelic, atmospheric, and cinematic soundtracks. Some have dared to mention Applesauce Tears in the same breath (or gasp) as Ennio Morricone, Brian Eno, and Boards Of Canada.